There are two parts to this post and they both fit into the spirit of Valentine and my February Love. Thanks to Christina Lee of Write-Brianed, you can read this short excerpt where the two main characters kiss for the first time. This is Kevwe and Efe from A Love Rekindled, my upcoming book. After being college sweethearts, they were separated for seven years, and this is evening of the day they met again. Kevwe gripped her wrist and stared into her eyes, covering her hand with his and intertwining their fingers right on her thighs. Efe trembled. She would have jumped to her feet if the feel of his fingers kneading hers on her laps was not so distracting. Her heart raced, muddling her thoughts. “Let me show you how much I’ve missed you,” he murmured, desire in his gaze. His fingers stroked over her slender knuckles and along the length of her thigh. A rush of pleasure suffused her brain as he leaned towards her. His manly scent flooded her senses and her head swam. God, she wanted to melt into him. Her heart jumped as she remembered how it used to be between them. They had been young, so much in love. When they split she missed him so much, and she had been filled with regrets. Maybe going all the way with him would release her from the prison of the past. Her body certainly wanted it. She whispered his name like a plea and shifted forward. He fit between her thighs like they were made for him. The loneliness that lay like a piece of hard ice in her heart thawed in that moment. Their lips met and clung together. It started gently, but in an instant the kiss became hot, and then turned hungry and desperate. The hurts of the past disappeared; the only thing that mattered in that moment was the heat of arousal. 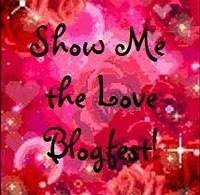 1- What is the most romantic thing anyone has ever done for you? Suggesting that we get married on valentine day. It was just fortuitous, but romantic that I am, it didn't even occur to me till my then fiance, now husband, asked me. My heart leaped and....hmmm...let's just say, I'll never forget that day, and the day we finally got married. 2- What is your favorite love song? There are so many of them, and though I can't list them all, I have two that I can't choose one over the other. My Heart will go on by Celine Dion and I'll always love you by Whitney Houston. 3- Do you have a favorite romantic movie or book? Titanic is my favorite romantic movie (obvious, right? 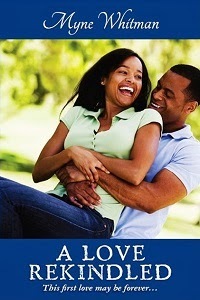 ), and Redeeming love by Francine Rivers is my bestest romantic fiction.